Fabric samples are free and easy at RV Supply Warehouse! Just add this item to your cart and checkout. 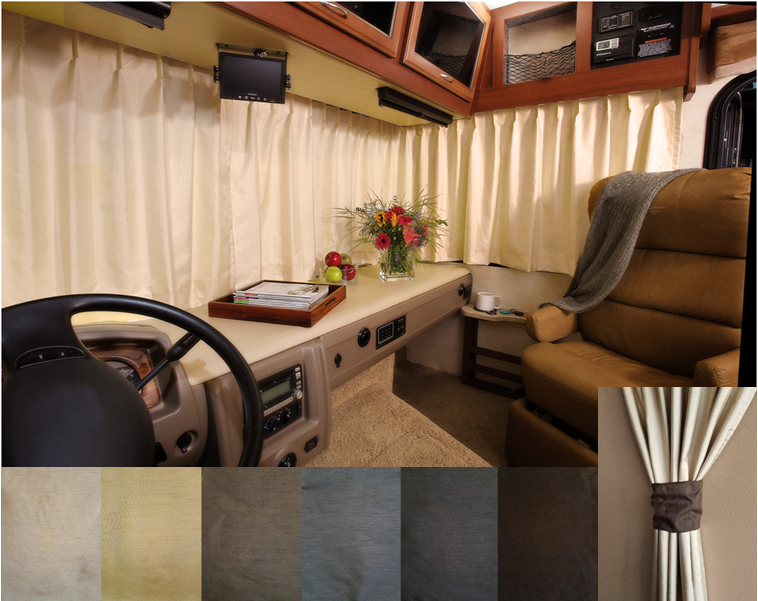 Your drapery color samples will be on their way to you via USPS assuring that you will be able to order the exact color you need for your RV. It is HIGHLY recommended that you take the time to see the fabric in person before ordering these non-returnable/Special Order drapes. One set of swatches per mailing address is free. These drapes come in 2 panels with matching tiebacks and a Velcro closure at the center. A 1-Panel option is available (no extra charge), as well as a 3-Panel option (upcharge will be incurred). 2. Drape Length: Measure your current drapes from top to bottom. Or, measure from the bottom of your track to where you want the bottom of your new drapes to fall. 4. Drapes will hang on your existing track. 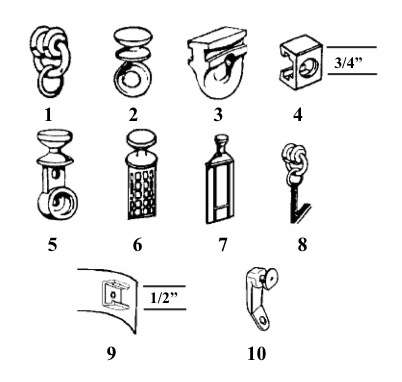 See the pictures of curtain carriers to select the carrier that shows how your drapes attach to your track. **Please note--these Custom Made drapes are made to order and ship directly from the manufacturer (California) and we are currently experiencing about a 3 week processing period from date-of-order to date-shipped. Request your free sample swatches now! They were very helpful in our choosing the color for our drapes that we ordered. love the colors and the cards to tell which ones are which but the samples are way to small to even look at in the coach to decide the colors. Maybe bigger w/ the colors on the back of the sample. Like the color chooses but the sample size is way too small.